Project brief: To redesign the user experience for the RTA registry user and staff. The project required for a response to the design of the RTA motor registry for the future. 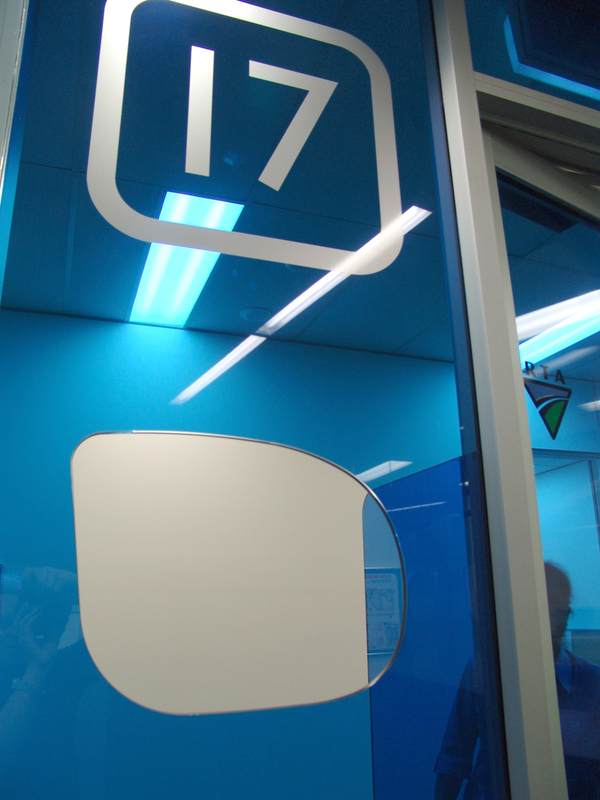 The design is to act as a prototype for upgrading registry facilities across New South Wales. In responding we wanted to redefine the experience of using an RTA registry, to make it simpler, make more information available and to begin to focus more on the RTA's educational role in the community. It was important to fold in the RTA's resources in historical and training collateral while upgrading the physical and spatial experience. 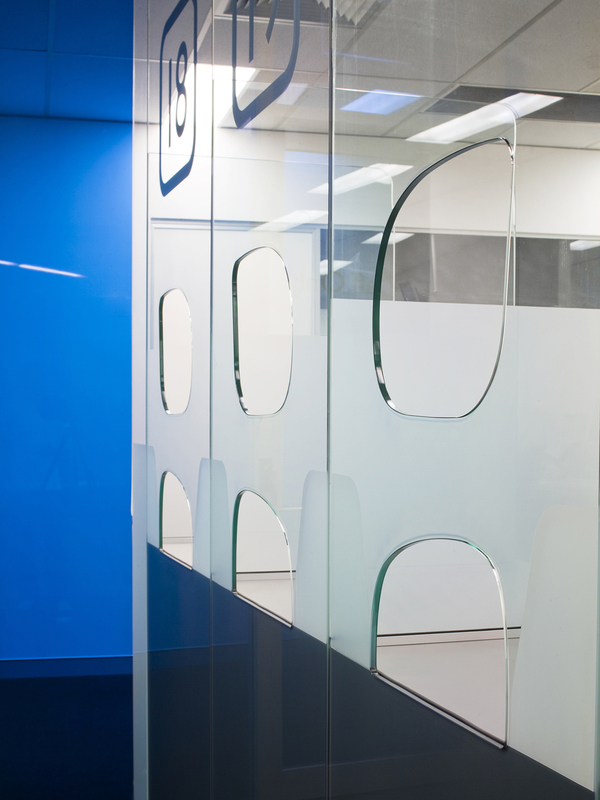 We addressed security and customer management strategies to create a more contemporary format. Working with Dennis Quinn we researched work processes, technology, history and staffing models. Working with Parker Design Services, the project documenting architects, we translated the research outcomes into the first built prototype site. The project was focused on a radical counter redesign and a new set of clearly identified destinations within the registry environment. 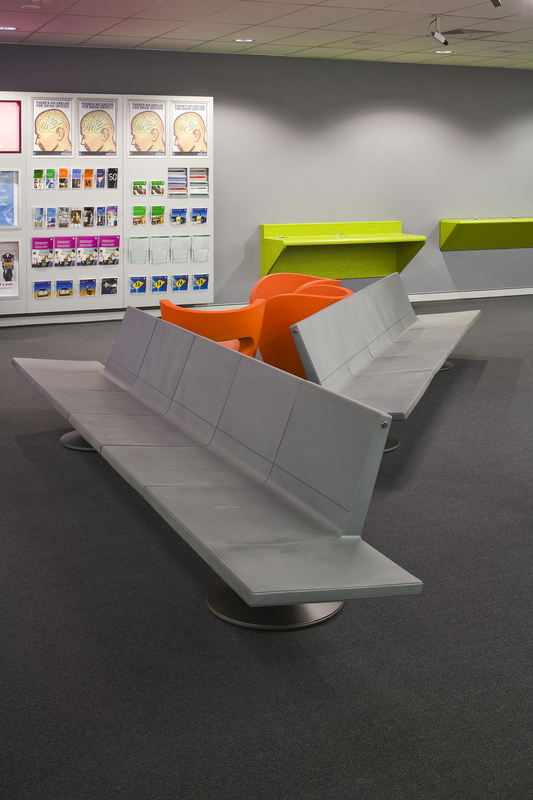 New information zones have been developed and new seating patterns introduced as part of a strategy to give customers a greater sense of control. In developing an initial reverse brief for the design and construction of the retail and licensing at Blacktown in Western Sydney we were keen to focus on identifying key objectives for the design. 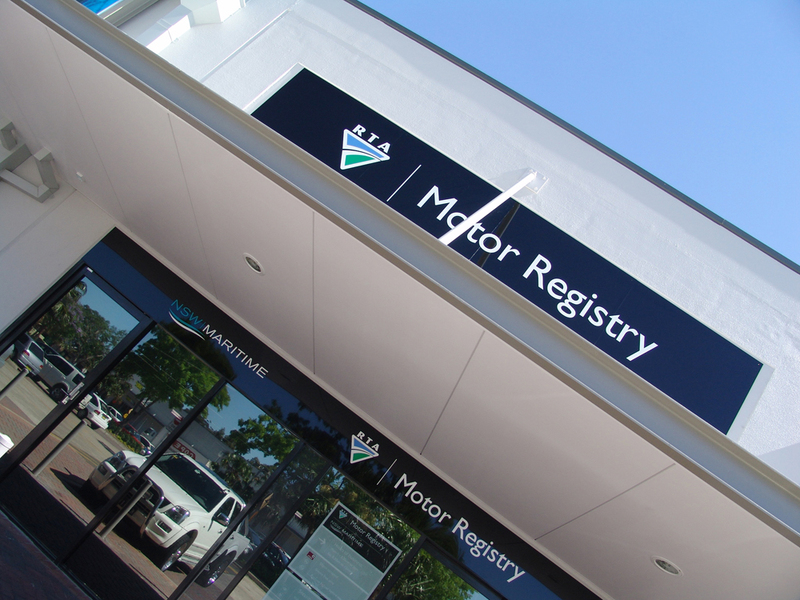 The RTA Motor Registries are a major touch point for RTA customers and as such must convey the image and service standards desired by the RTA and the NSW Government. We proposed that the RTA registry footprint be broken into a number of distinct destinations or business zones. Like many service providers the RTA is moving simple transactions to the internet and looking for a retail environment that facilitates more value added face to face transactions. This allows for more complex and educational activities to be conducted in the registry environment. Any proposed registry design needed be flexible to allow for this trend. The intention for this design exercise was that it represented the start of a new direction, not the final outcome. We see this process as one of evolving a new design over time. 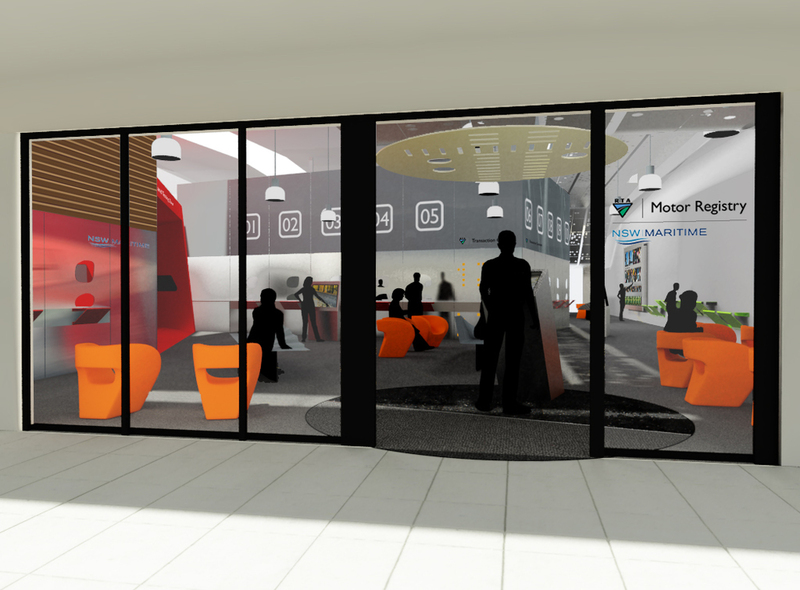 We have developed a modular scalable design that can be delivered subject to local market demand. 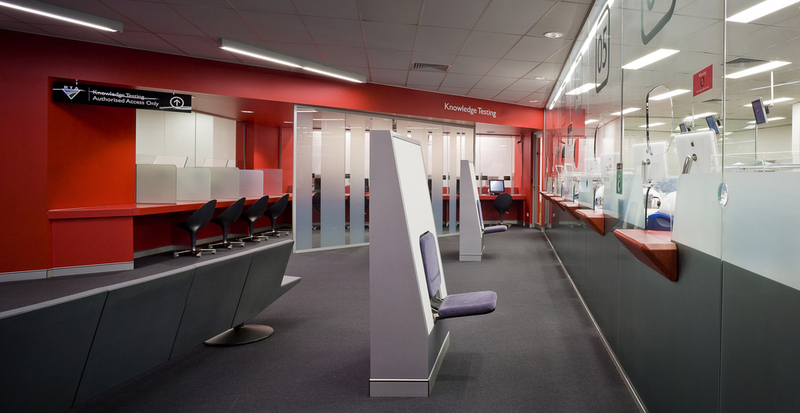 Our approach was to define experience zones that deliver a range of service propositions while recognising and exploiting the interconnection between the service zones. • The RTA is a big part of people's lives in NSW. Most NSW residents would make at least one visit per year. As such the RTA forms a significant interface between the operation of the NSW government and the public. • The RTA forms a gateway to the great opportunities available to citizens through modern technology, the autonomy of long distance travel provided by the motor vehicle, in particular. • We wanted to optimise on the services that the RTA can offer and address future opportunities as significant points of focus. 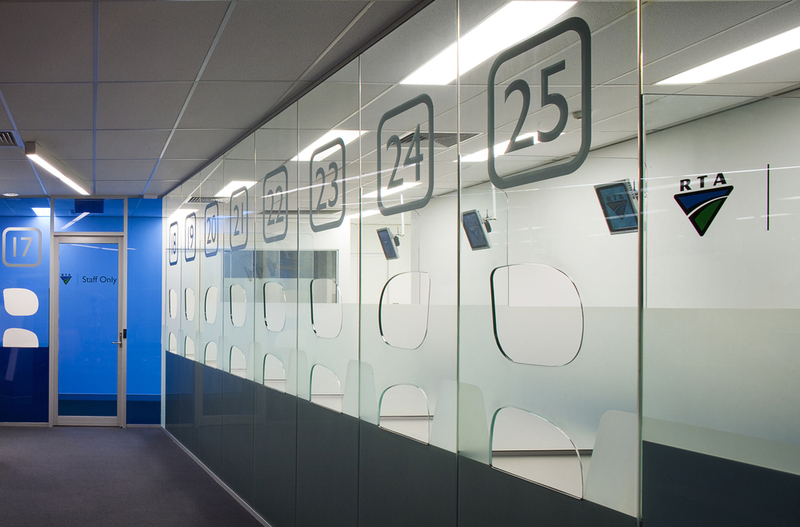 • In developing a customer focused model for designing service facilities we wanted to move more of the space to the customer zone giving them greater control of their experience. • It was clearly useful to develop the idea of differentiated destinations within an RTA registry. In developing differentiated transaction destinations or business modules we were also responding to the needs of a scalable design that could cater for registries with as few as two staff. • We needed to look at the physical space of the RTA registries in line with the other service channels in order that our modular destination model could dovetail into the on-line offer. • We wanted to communicate the accessibility and presence of RTA's valuable educational information offer, expressed through a browsing zone. We need to make it clear what the RTA can offer in the way of forms and applications. 01] External zone. 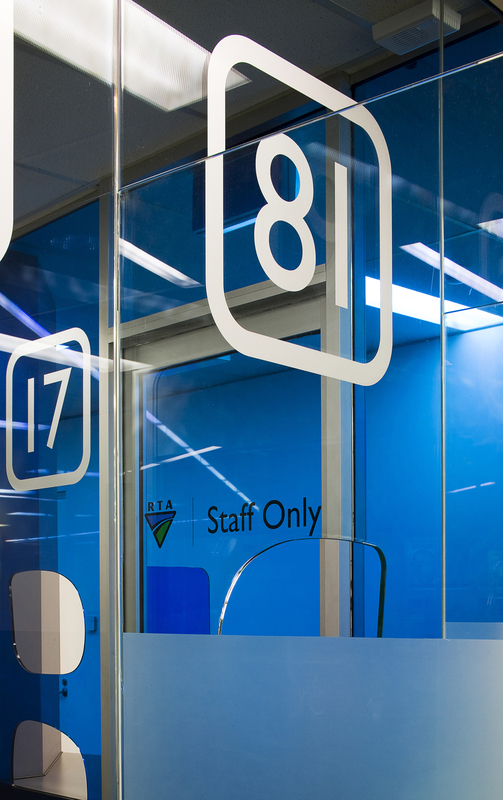 The first, the external zone provides the overall visibility including the RTA brand along with consideration for future opportunities to employ new technologies such as the streaming of digital signage information onto the windows. 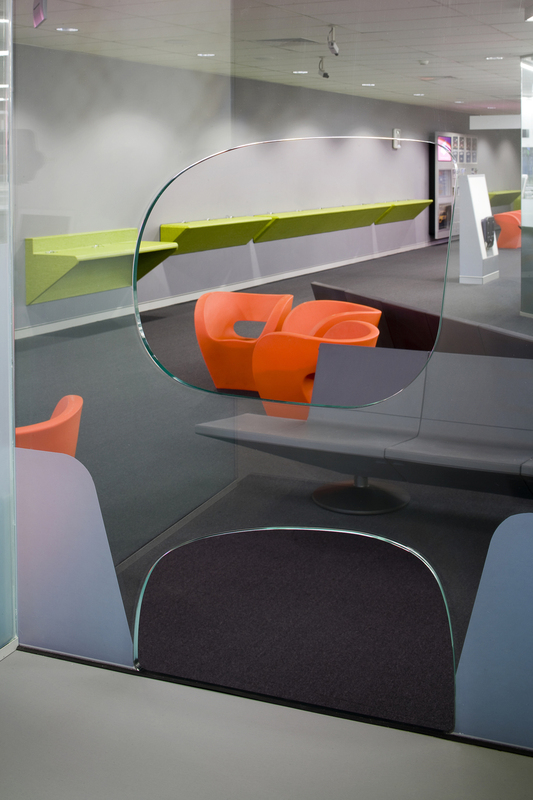 We wanted to give a clear view through to a clean interior with an easily identified central service zone and strong graphic information zones. 02] Entry zone. 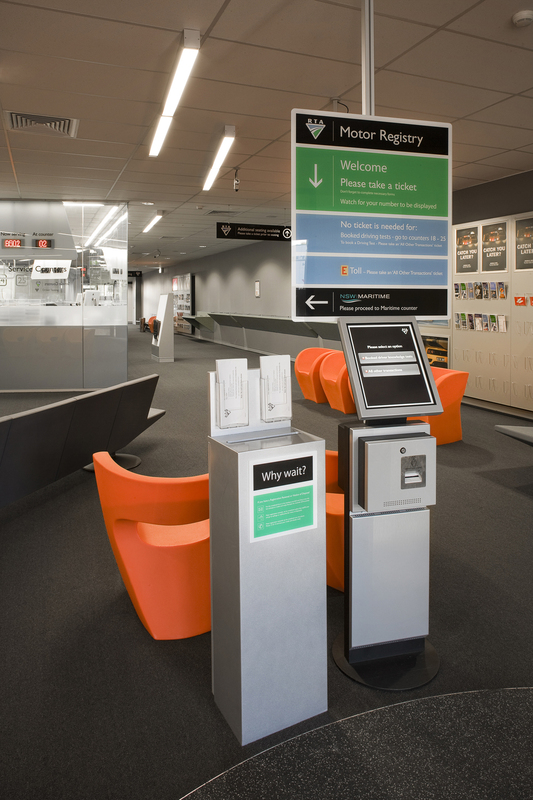 The entry zone allows the customer to easily determine where they need to go to access the right service. Here, on the welcome mat, the customer faces a simple service menu and a Q-matic ticketing system. 03] Browse and education zone. 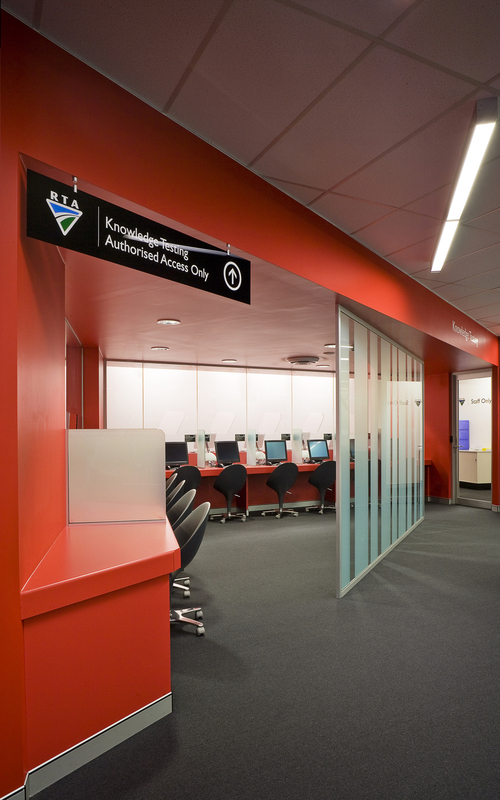 This area allows customers who are waiting, to freely browse the range of information offered by the RTA. 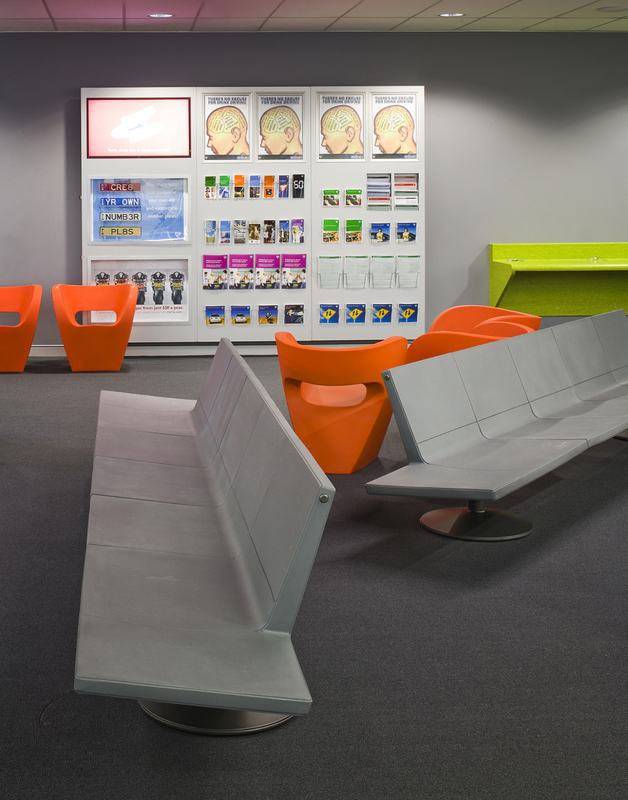 The browse zone sits within the sight-lines of the waiting areas and is designed to build awareness of all the information and services offered by the RTA. 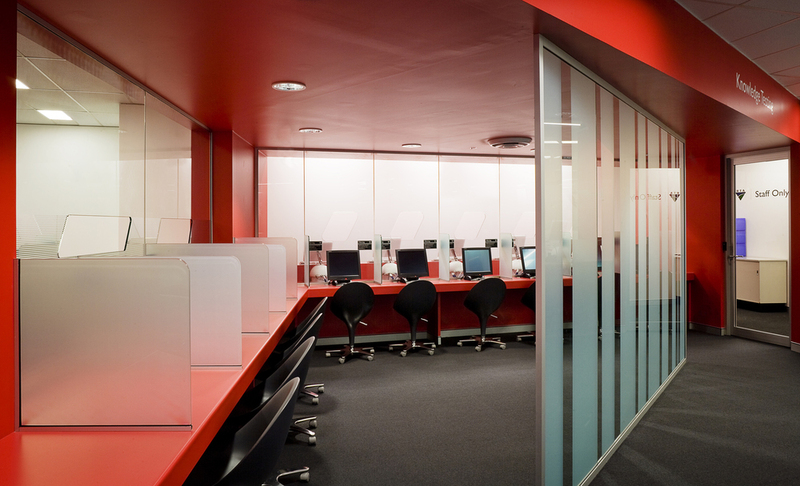 It is a communications zone about information combining print and electronic media. Information is displayed in categories to allow quick scanning of topic areas. 04] Waiting zone. 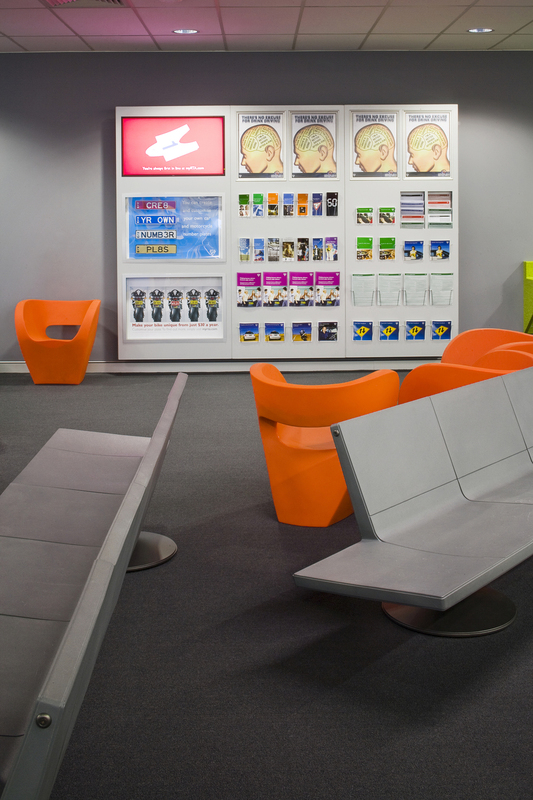 The waiting zone is the place where customers spend most of their time at an RTA branch. With this captive audience we had the opportunity of giving customers access to valuable information that is unique to RTA's resources but also the experience should be pleasant and a reflection of RTAÕs commitment to a high level of quality in products and services. In reconfiguring the waiting zone we created more discrete waiting zones connected to the different service zones. 05] Transaction and licence counters. The transaction area allows customers to complete the full range of services and payments offered by RTA. Wait times for the customer can range between 5 to 20 minutes, providing the RTA with a valuable opportunity to offer information and entertainment to customers and enhance the wait experience. 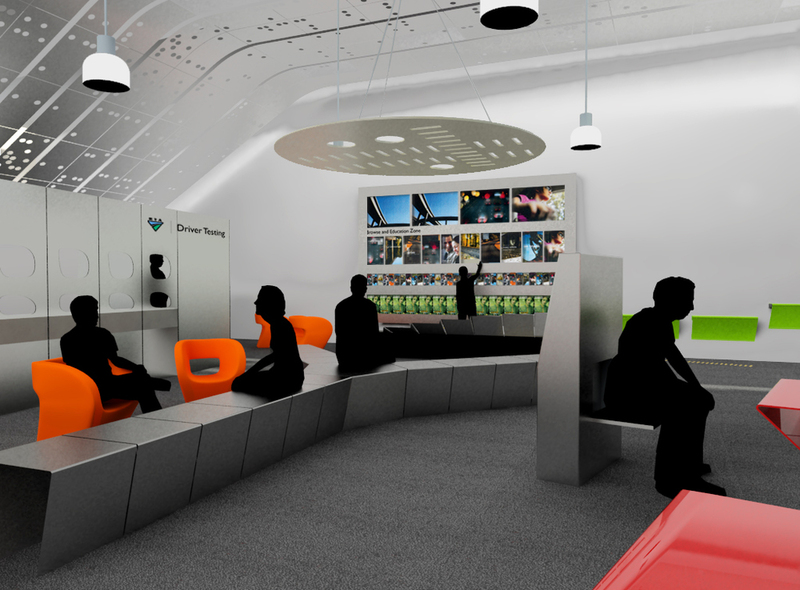 Security for staff was a major concern in the design consideration of the transaction counters. However we also wanted a clean and friendly appearance. 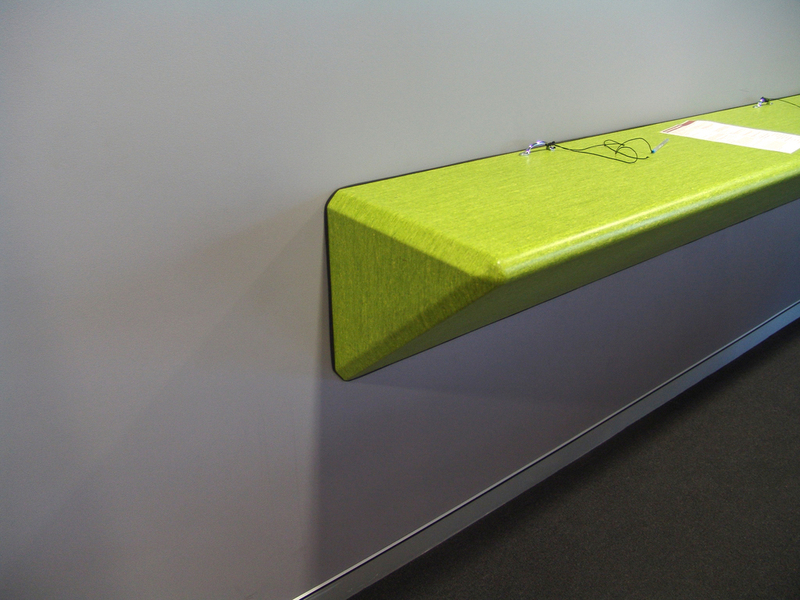 Our solution was to create a single integrated counter faade with softly irregular openings for staff customer communication. 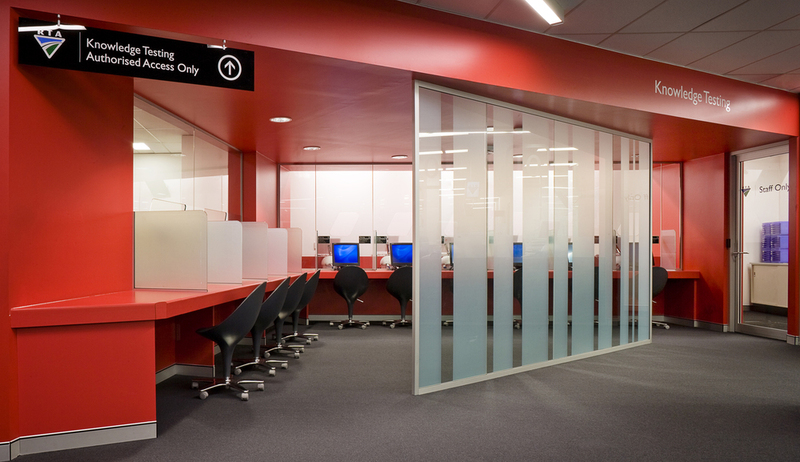 The organic openings were designed to create a more friendly frame for the service experience. Secondly we added individual leaning counters at each service bay to suggest that each transaction was unique and important. 06] Knowledge test zone. The knowledge test area allows customers to sit a PC based test to pass various levels of driver testing and ultimately achieve their full licence. The Knowledge testing zone needs to be quietest zone in the registry. It needs to be easy to supervise and clearly identified. It seemed important that this zone act as a starting point for further development of the RTAÕs educational offer. 07] Driver test zone. The driver test zone is an area where applicants come to take their driving test. Testees often come with family members so there was some real advantage in creating a separate foyer or waiting space for prospective driver trainees. The area was given a separate entrance and clear signage. 08] Maritime counter. 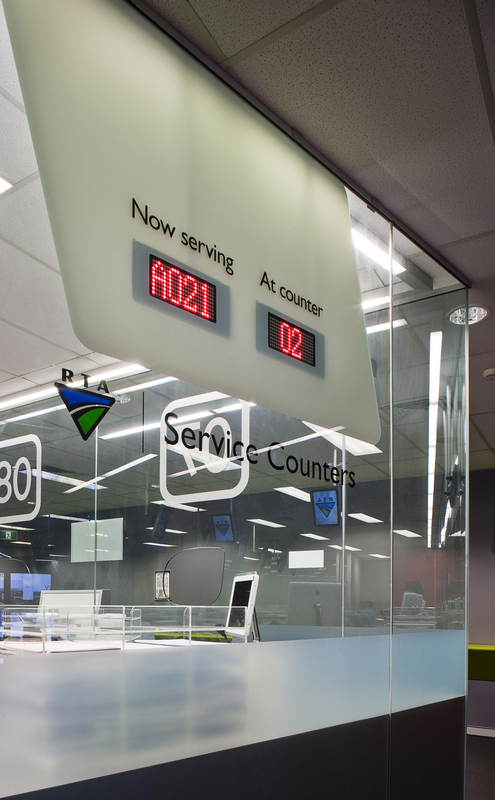 The Maritime service counter is a dedicated service point within the RTA shop giving customers access to maritime services such as renewal of boating licences.